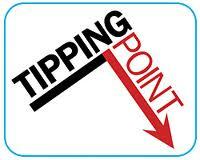 Where's the tipping point? – asks a cross Andy Benson! As usual the new NCIA Newsletter is packed full of comment and conjecture. Andy Benson opens by lamenting his tendency to be cross! Where’s the tipping point? Where’s the breaking point? The charity Kids Company has started feeding centres for children and families – up to 70 at one centre alone – to stick a finger in the dyke for the 2.2 million children living in poverty. All this stuff concerns our world of voluntary action and history will ask – in looking back – what we all did about it. We’re currently doing a tiny bit of research to try and sort out who, in the VCS, can be called an ‘activist’ in these terrible times. What’s coming up, again and again, are groups that we are calling ‘(maybe) getting ready for activism’. These are mostly professionally oriented, obsessed with funding, overtly complaining about what is happening but still playing the game, trying to keep their seat at the table but feeling deeply uneasy about the cuts and compromises that are being demanded. These groups are the backbone of the historic voluntary sector. In truth they are being decimated by the commissioners, the SERCO’s, the NACRO’s and the rest of the corporate charity raiders. Whether they decide to bite back or give in will be an important sign of just how lost we are in the fight for social justice and a radical alternative. In addition the NCIA and LSVC have produced some excellent notes from their May conference, Is Competition Killing Us? Commissioning and the independence of the voluntary sector. The pdf contains a real spread of opinion and concern – well worth a read by both proponents and opponents. serve its users, but where do you draw the line? For some of us the grants process worked well, but if you were outside the grants system it was hard to break in. Organisations that got grants continued to get grants. Whether campaigning and commissioning are compatible and how to retain independence are interesting questions. • Increasing competition, and in any competition there are losers – valuable work will be lost. • The winners find themselves bound into onerous terms of engagement. • Voluntary sector organisations become sub-contractors to large private concerns, taking all the risk and getting little in return. • Engagement in commissioning damages all of us by making organisations compete against each other. • We are becoming not more business-like, but more like businesses. • We are focussing on being service providers rather than on fighting for service users. AND STOP PRESS – FOR A FURTHER CHANCE TO CHAT CRITICALLY – THERE ARE STILL SOME FREE PLACES. The next in the series of events to look at the crucial issues facing us will focus on activists and community action and will take place on the 19th July. This is being organised jointly with the National Community Activist Network (NatCAN) and will be at the Resource for London, 356 Holloway Road, N7 6PA. If you’re taking action on behalf of people in your area, want to share tactics with others, or find out how to get help to keep going, then this event is for you. The morning is for discussion about big issues around democracy, markets, and community action and includes a presentation on People’s Assemblies from World to Win. The afternoon will hear from people active around different themes including anti-racism, anti-privatisation, provision of local services and solidarity networks. We’ll be looking at how to keep going and figuring out what support activists need. There will be plenty of room for discussion. And lunch. And FREE.